The bomb cyclone that hit the East Coast this week was a good reminder for everyone, regardless of whether your area is accustomed to winter weather (We’re talking to you, Northeast and Midwest) or not (Hello, Florida!). 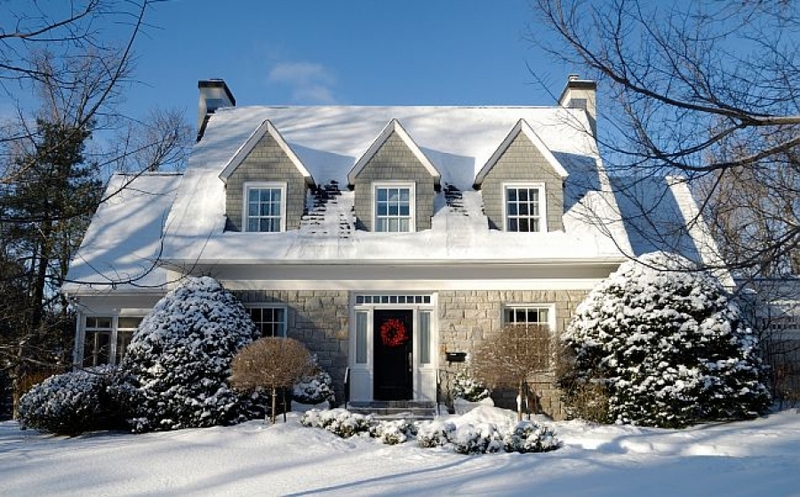 There are some easy steps you can take to protect your home from winter wear and tear, even if snow isn’t in your forecast, to make it function better and keep it – and you – safe. If you already live in an area where hard freezes are a regular occurrence, you probably know how to protect your pipes. For everyone else, it’s important to understand what happens when water freezes and how to avoid catastrophes at home. “Water has a unique property in that it expands as it freezes,” said the American Red Cross. “This expansion puts tremendous pressure on whatever is containing it, including metal or plastic pipes. No matter the strength of a container, expanding water can cause pipes to break. A few tips include opening “kitchen and bathroom cabinet doors to allow warmer air to circulate around the plumbing. When the weather is very cold outside, let the cold water drip from the faucet served by exposed pipes. Running water through the pipe – even at a trickle – helps prevent pipes from freezing.” You can get more tips on the Red Cross website. The last thing you want is a winter wonderland of ice outside your house because you forgot to turn off the sprinklers. With the weather conditions turning on a dime these days, you could very well have warm sunshine on a Tuesday and get a wicked snowstorm on Thursday. It’s not too late to have a tune-up if you haven’t had your heating unit checked out this year. Experts recommend an annual check, and if you’re overdue, you could be running the risk of your heat clunking out in the middle of a sub-zero storm. Get out that ladder (or hire someone who’s willing to do the climbing) to make sure your roof is in good shape. Heavy snow and ice from last year or a more recent storm could have compromised some of the shingles, and you want to catch the issue before the roof starts leaking. Even if you had this done before the cold weather arrived, you might want to do a re-check. The “bomb cyclone” was described as a “snow hurricane”; that could have left all kinds of debris in your gutters, just waiting to cause problems next time there’s rain or snow. Most ceiling fans have a switch that changes the direction of the blades. This is one of our favorite cold-weather tips because not only can it help make you more comfortable in your home by forcing some of the warm air that collects near the ceiling down into the room, but it can also save you as much as 10 percent on your heating bill!